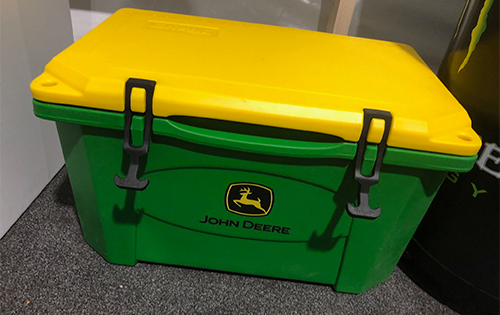 The tournament is underway and we’re excited to see so many people entered in our giveaway of a John Deere Grizzly cooler! Justin Thomas came in second, with 40 folks banking on him continuing his hot streak and claiming back-to-back PGA Championship victories. Overall, we had roughly 280 people enter. Most entrants believe the winning score will be between 10-under and 15-under. 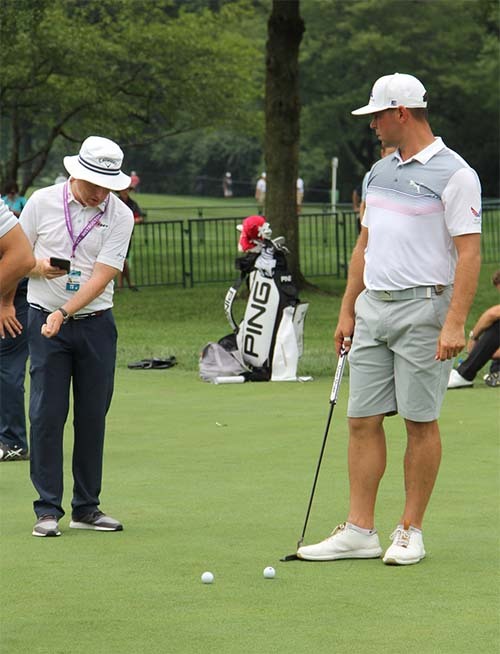 And no one selected Gary Woodland, current leader… however, we’re happy to report Woodland was our second PGA Tour player interview we conducted while at Bellerive. The former Jayhawk is a favorite around the Golfdom office, as he shares an alma mater with Golfdom EIC Seth Jones. We’ll post results as soon as we know them on Sunday! Good luck, everyone, and thanks to John Deere for providing the prize!